Winter of the Genomes explores how humans will fit into an evolving ecosystem being impacted by artificial intelligence. We are entering the age of AI and robots when they could take as many as half the jobs in industrialized countries. On the other hand, robots are also making inroads as lovable companions, and they don't eat, drink water, or create waste. If populations drop due to pessimism about the economic future caused in part by robots and automation, as has started to be the case, the corresponding decline in energy demand will contribute to a significant reduction in global warming. Also, robots could be key to improving agricultural production thus helping to fend off a major global food crisis. "Larry Kilham’s Winter of Genomes is an exciting new book that will take you to the last frontier, artificial intelligence. Larry Kilham is a Captain Kirk leading us to go where we have not gone before! Fascinating, as Spock would say." -- Victoria Wagner Ross, Technology Reviewer San Diego Examiner. "Larry Kilham’s book is both entertaining and instructive regarding the many different innovative advances that are contributing to this important inflection point with human enhancement." -- Jim Pinto, Technology Futurist. "Futurist Larry Kilham has written a fascinating and open-eyed assessment of the present and future direction of artificial intelligence and robots. This thought-provoking excursion into the potentialities and pitfalls of a robotic futurescape will stretch your imagination." -- Grant Holland, Silicon Valley computer visionary and developer of species evolution models. "In his latest very readable and entertaining book, Winter of the Genomes, author Larry Kilham explores and explains almost all aspects of the current state of development of robots and artificial intelligence (AI). An excellent contribution to the AI debate and a very worthwhile read." -- Ron Neale, Physicist and writer for EE Times. 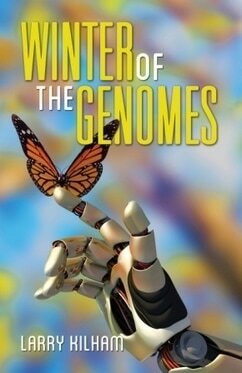 "Winter of the Genomes is an intellectually stimulating but sure to be controversial book, in which Larry Kilham creatively and innovatively explores the systemic relationships among critical topics such as the growing use of robots, unemployment, climate change, and global population levels." -- Jeremy A. Sabloff, Retired President, Santa Fe Institute. "A rigorous but readable account of what promises the future of artificial intelligence holds. A graduate of MIT, Kilham (Mega Minds, 2013, etc.) has been investigating the possibilities of artificial intelligence since the 1960s, before the concept became a standard theme in sci-fi and in popular culture in general. In his sixth book, he explores the potential for sophisticated robots to radically transform human life, changing the faces of labor and commerce as we currently know them. In the book’s first section, he explains what precisely artificial intelligence is and what one can reasonably expect from its advances. He dispels the idea that robots pose an existential threat to human civilization, as if they will soon evolve into beings of comparable intellectual sophistication and, as a result, competitors. He does explain how artificial intelligence already permeates our lives in less dramatic ways, e.g., via its central role in automobile production. In the remaining three sections, Kilham plumbs the sociological depths of AI technology, considering the many ways a labor force of highly efficient, low-cost workers could respond to the possibility of a shrinking world population, conserve depleting resources and unburden human beings of tedious forms of menial employment. The author’s emphasis on the potential ecological impact of automation is particularly edifying. He also makes some trenchant contributions to the perennial debate about what the relationships between human beings and robots might look like. “Could there be a partnership between humans and robots?” he asks. “Seems ridiculous, but then again, why not? Partners do not have to be friends or confidants; they do not even have to know each other. The business world recognizes senior partners, general partners, limited partners, and junior partners. Often, some partners are more equal than others.” Kilham equivocates somewhat on the extent to which computational intelligence mimics the human variety, but overall, readers would be hard-pressed to find a more compelling reflection on the ways artificial intelligence can help respond to our very human problems. 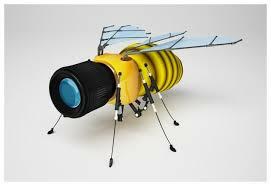 A sensible, innovative consideration of how technology can alter the landscape of human life." To order from Amazon paper or ebook, click here. ​​WHAT ABOUT ROBOTS, AI, AND EMOTION?